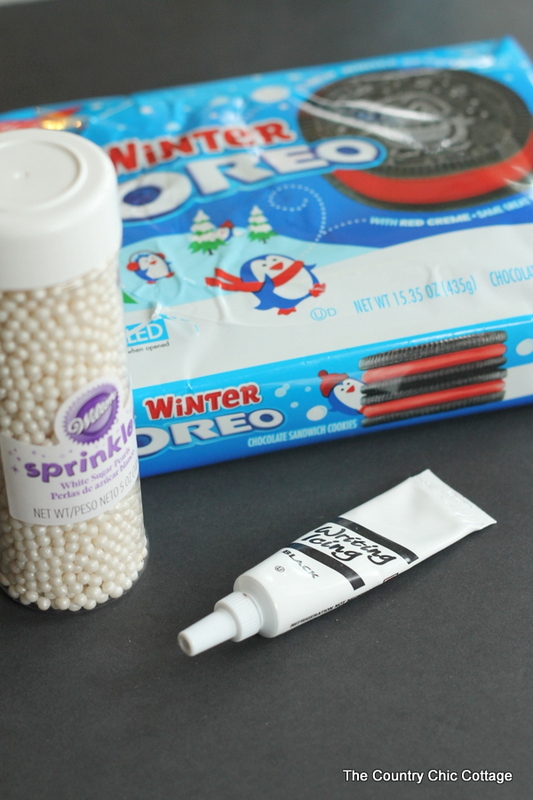 I love quick and easy Christmas treats with the influx of holiday parties. 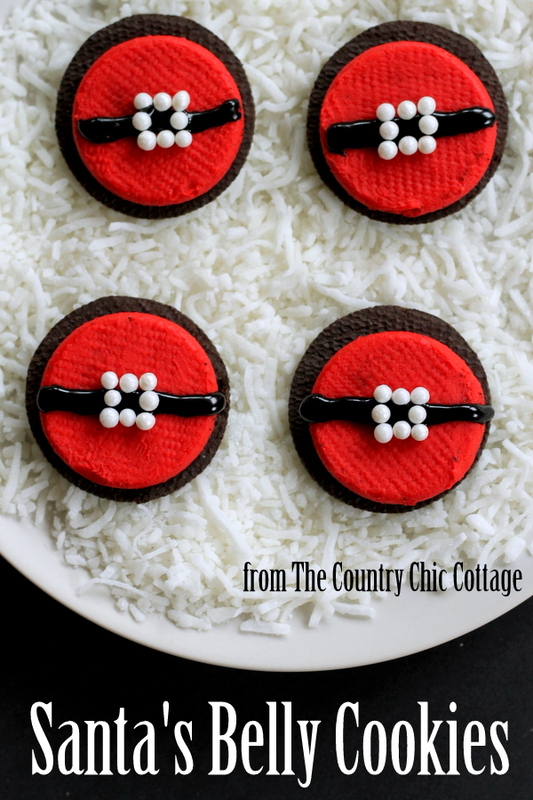 So these Santa’s belly cookies just had to be included in this week’s Craft Lightning. If you have missed any of the quick holiday crafts this week, be sure to check out the 15 minute or less crafts in the round ups for day 1, day 2, day 3, and day 4. Now are ready for the easiest holiday cookie you have ever seen? This is not so much a recipe as it is a brief instruction on how to make these fun treats. 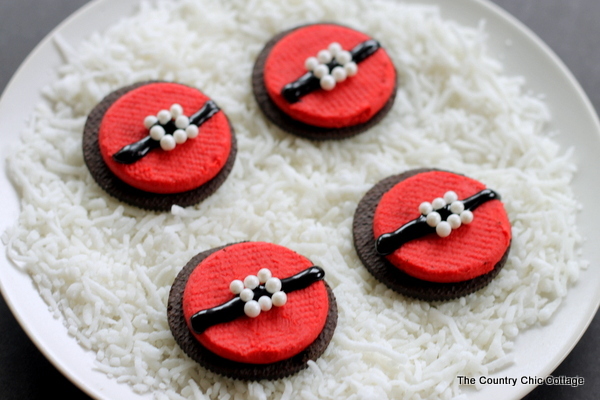 Remove the top of your Oreo (discard or just eat it! 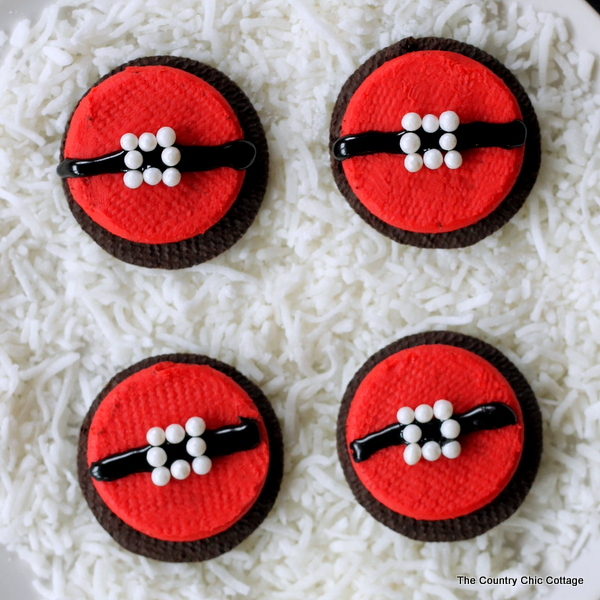 ), add a black icing strip, and finally add the sugar pearls to resemble a belt buckle. You can see each step illustrated in the image below. These can be made in literally minutes and then sent to a school or holiday party this Christmas. Yep a no bake treat that is just too darn cute! 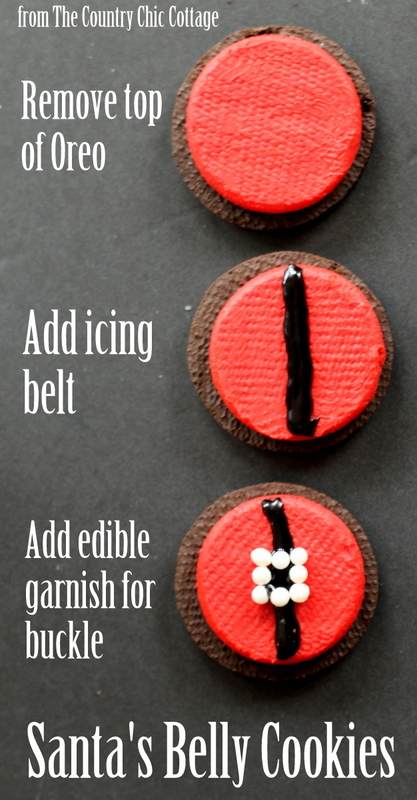 So stock up on red Oreo cookies and make these for a party or just your family. These Santa’s belly cookies will be the hit of any celebration!